In which G.M. Norton shares six of his favourite Instagrammers. Since throwing myself into Instagram, it's been love at first like. When I first heard of Instagram, I thought it was just one of those photograph filters that could make your snaps look olde-worlde. Then perfect strangers started to like my photos and I couldn't fathom why. Since those innocent early days, I struggle to keep my hands off it! There are so many lovely people on Instagram, it's been a wonderful way to make and build friendships and importantly, to be inspired. Here are six of my favourite Instagrammers of the moment. I've only been following a few for a matter of weeks but I thought it would be rather jolly to share them with you. In no particular order, here are my six of the best. In which G.M. Norton would prefer people to stare glumly ahead. I like to describe Norton of Morton as ‘an analogue periodical in a digital age’. As the jolly throwback that I am, I love to dress in a manner befitting of a gentleman and aspire to behave in such a way. Impeccable manners, courtesy and respect all form part of the moral compass that guides me through life. While I love the elegance and style of the 1920s to the 1950s, and would love to visit each decade for a brief sojourn, I wouldn’t like to live during those times. As much as I adore the fashions, I would much rather adopting those styles now and stand out amongst the polyester and sportswear-clad masses. In which G.M. 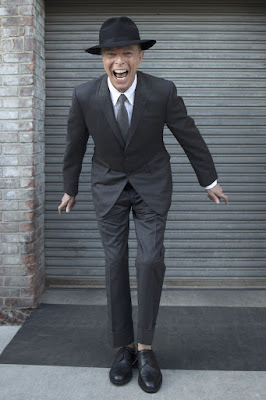 Norton pays a pictorial tribute to Mr. David Bowie. My beloved imparted the sad news of David Bowie's death at 7 bells on Monday morning. I was still coming around and she was dashing off to the office. It took a while for it to sink in. 69 years old. And just days after his birthday, when this daguerreotype was taken. I’m not claiming to be a Bowie super fan but I have the most enormous respect for him and the mark he has indelibly left on British culture. I only possess two CDs - a greatest hits collection and the soundtrack to '80s film The Labyrinth, that was as a gift to my beloved (we both adore the film and our two daughters are now equally as fanatical about it). I also have a slightly scratched Ziggy Stardust vinyl album that I took a chance on at a car boot sale. In which G.M. 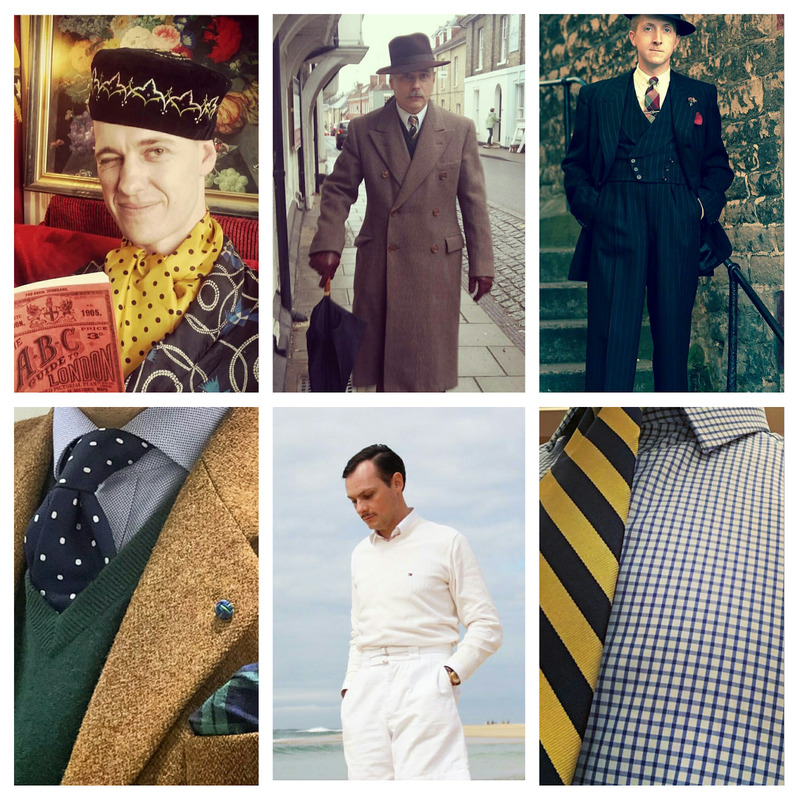 Norton gives a sartorial salute to Bertie Wooster. After a busy day, I love nothing more than to curl up with a P.G. Wodehouse novel and enjoy the misadventures of Bertie Wooster and his indispensable valet, Jeeves. 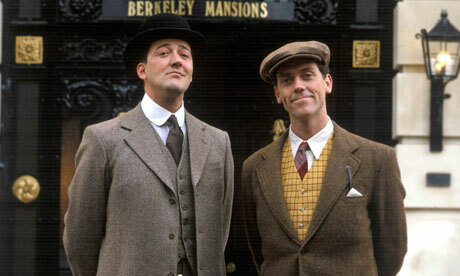 My first experience of the Wodehouse stories came in the early '90s with the television adaptation, Jeeves and Wooster starring Stephen Fry and Hugh Laurie respectively. Last year, the complete DVD collection found its way into my possession and I’ve enjoyed the occasional episode thereafter. I’m pleased to report that in the last week, my beloved has well and truly caught the Jeeves and Wooster bug too. 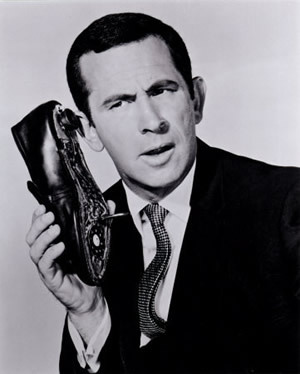 So much so that it has now become a routine to request a little Jeeves action each night before retiring to the bedchamber. In which G.M. Norton seeks sartorial perfection. On Christmas Day, my beloved bestowed on me a book that I’ve been coveting since I first heard about it about 18 months ago - I am Dandy. 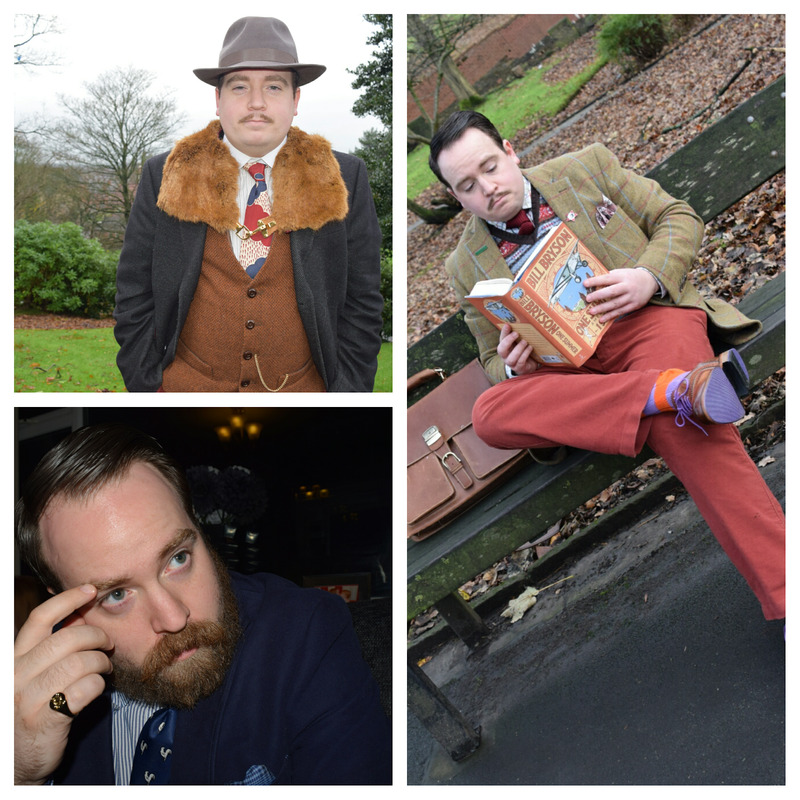 And I must say, the book, along with my Eves&Gray tweed brogues and Peckham Rye faux fur collar, has inspired me greatly. Since starting this little slice of the interweb, I’ve been on a sartorial journey. Can you believe that when I wrote my debut piece on Norton of Morton, I didn’t possess a single waistcoat? Now I have about nine or ten. Naturally, I’ve made a lot of mistakes along the way.